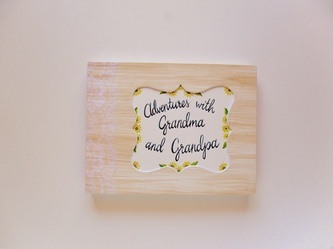 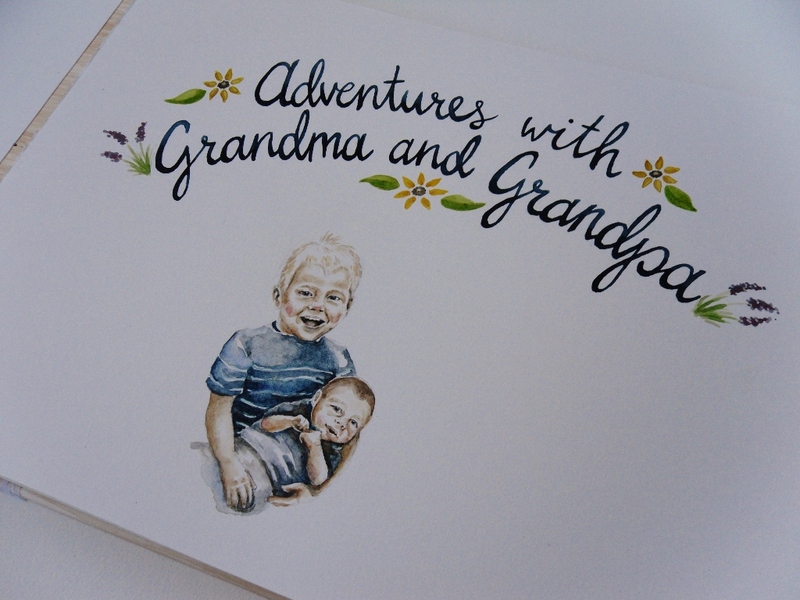 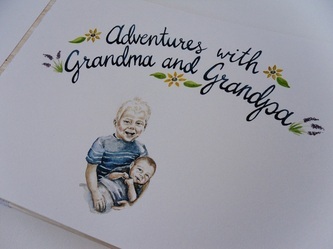 This photo album was a commission for a young man's parents, to fill with photos of their grandchildren. 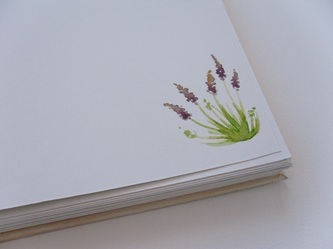 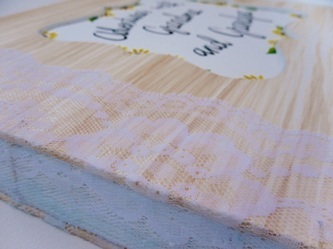 The book was filled with small illustrations of flowers and was covered in a water-colored wood grain to give it a cottage-y feel. The spine was covered in lace as well.